Vitamin B12 or cyanocobalamin is a water soluble vitamin that can be found in fish, meat and dairy products. This vitamin is associated with elevations in energy, and hence is sometimes called the energy vitamin. Vitamin B12 injections usually are recommended for treating deficiencies of vitamin B12 due to pernicious anemia, malabsorption syndromes, or a strict vegetarian diet. Also, an injection into a muscle is more efficient for absorption than oral supplementation. Some side effects may result from receiving B12 injections. It is common to experience irritation and tenderness or discomfort if vitamin B12 supplementation is received by injection. These side effects tend to subside after receiving the shot. 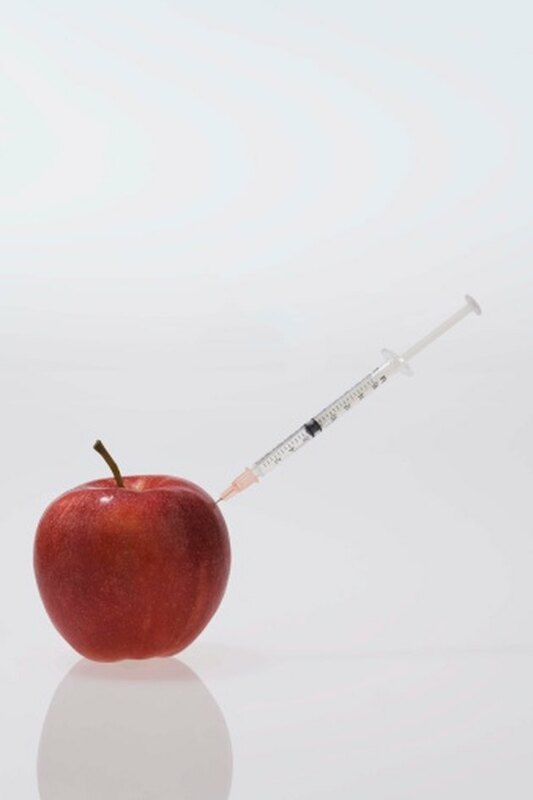 However, if the injection site continues to be tender and painful, and becomes red and swollen, a physician should check the injection site as soon as possible; that is, the symptoms indicate the possibility of an infection. Vitamins.lovetoknow.com states that a common side effect associated with this vitamin supplementation is that of an upset stomach. For example, adverse reactions here may include mild or intermittent sensations of feeling sick-to-the-stomach, or the uncomfortable experience of full-fledged nausea as well as mild stomach pain. Additionally, mild diarrhea may result, which should be monitored closely due to the risk of becoming dehydrated. Such side effects should diminish as the body has time to adjust to the additional B12. Also, taking the supplement with food may help to reduce gastrointestinal adverse reactions. A physician should be seen for evaluation in cases where stomach side effects persist or increase in severity, especially in the case of persistent diarrhea. EmedTv.com states that a possible side effect of this supplementation may involve signs and symptoms of an allergic reaction. For example, likely signs would include itching associated with a rash or hives; chest tightness with wheezing and shortness of breath due to difficulty in breathing because of inflamed airways; and obstructive swelling of the lips, mouth, tongue and throat. In an emergency situation, medical intervention is needed as soon as possible.